Welcome to Joga Chiropractic Center, where our chiropractor in Westchester, Los Angeles provides the entire family with quality care in a caring environment. Although many of our patients first meet us for help overcoming back pain, neck pain, headaches or workers compensation injuries, they keep coming back to enjoy Dr. Viktorija Joga's focus on their total wellness. Our philosophy is to provide people with the tools they need to help their bodies heal naturally. From precise spinal adjustments, laser therapy and massage therapy to prenatal care, core training and all of our nurturing, effective techniques are designed to stimulate the body's self-healing abilities. We are committed to helping our patients feel great from head to toe-from pregnant mothers to colicky babies, and from workers compensation patients to seasoned citizens who want to enjoy energy, health, and vitality for years to come. We serve patients from all over Westchester, Marina del Rey, El Segundo, Venice, Culver City, Brentwood and Pacific Palisades, providing highly-skilled, compassionate chiropractic care that seeks to solve the root reasons behind a person's pain, not just cover up symptoms with medication. Chiropractor Dr. Joga is highly-trained in several different spinal adjusting techniques that realign the spine into a healthy curvature so that the whole nervous system can work as nature intended. This often leads to significant, lasting relief from back, neck and extremity pain, headaches, and many other painful ailments. Dr. Joga is also experienced at providing prenatal care for expectant mothers. Helping pregnant women find natural, drug-free relief from lower back pain through spinal adjustments, massage therapy and therapeutic exercise can help both the mother and the baby have a less painful, more relaxed pregnancy and delivery. As prenatal care blends into postnatal care, our chiropractor is there to help moms recover quickly. She also provides natural help for babies with colic and children with ear infections. We also believe that core training and fitness is one of the keys to long-term health and injury avoidance, so we emphasize these exercises very strongly in our treatment plans. By maintaining a healthy posture and supporting it with strong abdominal and back muscles, our patients feel stronger and healthier overall. Core strength training is important for everybody. Dr. Joga and our staff are also experienced and certified to offer several therapies that complement our work with spinal adjustments and core training. 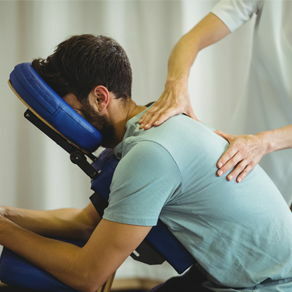 Massage therapy, for example, not only helps marvelously with stress relief; it can also relieve musculoskeletal pain and tension, rush healing circulation through sore, injured tissues and actually halt inflammation at the cellular level. We also skillfully combine the latest in high-tech pain relief with ancient, time-tested techniques by providing laser therapy for healing physiotherapy from within. We are eager to help you overcome pain and find the strength you have inside, so please call us today at 424-800-2488 to set up an appointment! "When in pain Joga Chiropractic is who I call. With an hour drive each way I wouldn't think of seeing anyone else. Dr. Joga with her team always know how to fix my back/shoulder. I always leave feeling great. Definitly a great team!"